H215CB is rated 5.0 out of 5 by 2. Rated 5 out of 5 by Gina from Just Beautiful! These lovely handles greatly mproved the look of my faucets. They fit my existing Delta faucets perfectly! Installation was trouble free, and they look gorgeous! 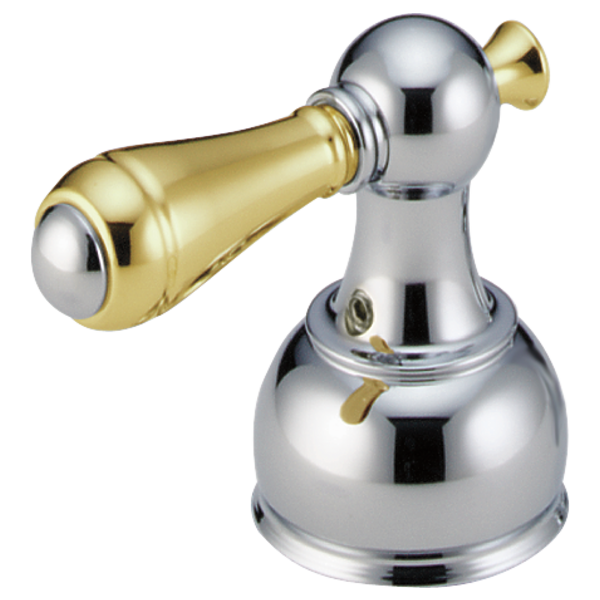 Rated 5 out of 5 by Lorenzo from These handles go along with the "faucet" that I purchased & is the matching items for it. I currently have the H212pb handle with the ceramic insert and would like to replace it with this handle. I cannot find this replacement blade, spindle and the piece between the handle and lever that makes them all fit snugly. Is it possible to purchase these alone like so many of the other handles? I'd also like the part number to replace the H712pb shower valve handle. Thank you.